The social networking giant called Moves an "incredible tool for the millions of people who want to better understand their daily fitness activity" in a release announcing the acquisition, though Facebook's broader motivation for the purchase was not readily apparent. A notice posted on Moves's website said that the app would continue to operate independently and that there are "no plans to change that or commingle data with Facebook." In addition to the automated activity tracking, users can also manually enter data, and Moves says it supports more than 60 predefined activity types. 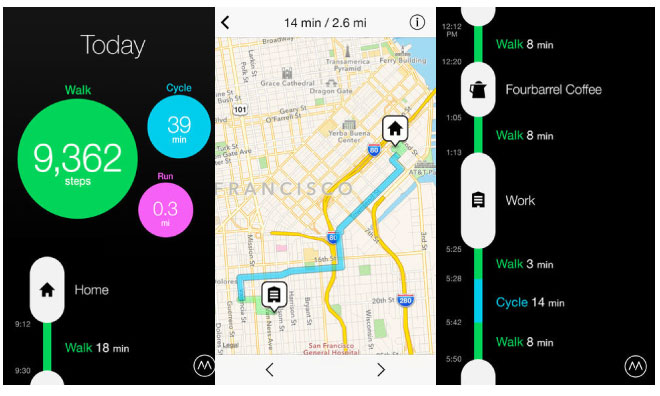 The app also acts as a pedometer and can plot a user's daily movements on a map for later analysis. Neither party revealed the transaction's cost, though it is thought to be relatively modest compared to Facebook's recent multi-billion dollar purchases of WhatsApp and Oculus. A Facebook spokesperson told the Wall Street Journal that the package given to ProtoGeo Oy, Moves's developers, was nowhere near that received by the others. Fitness and activity tracking is shaping up to be the next battleground in consumer technology, with early-stage startups and behemoths like Nike competing for users with both software and hardware solutions. Apple, too, is widely expected to enter the arena with the release of a so-called "iWatch" that many believe will sport advanced biomedical sensors that integrate with a new "Healthbook" iOS application.